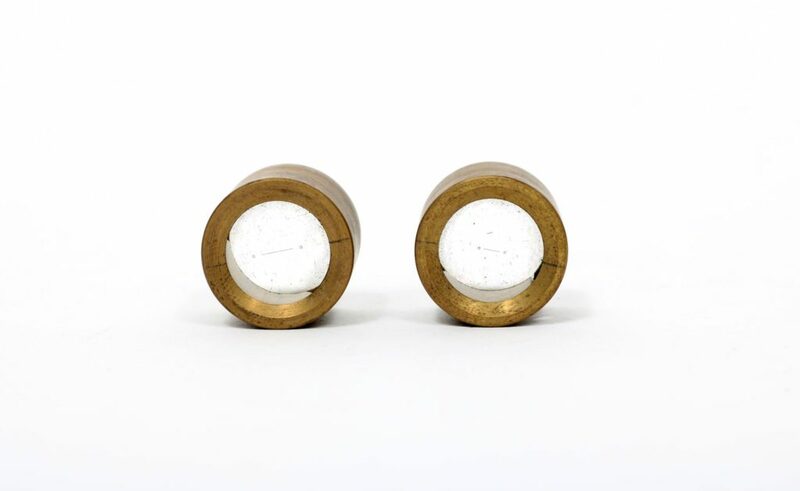 These are two small identical lens-like objects. 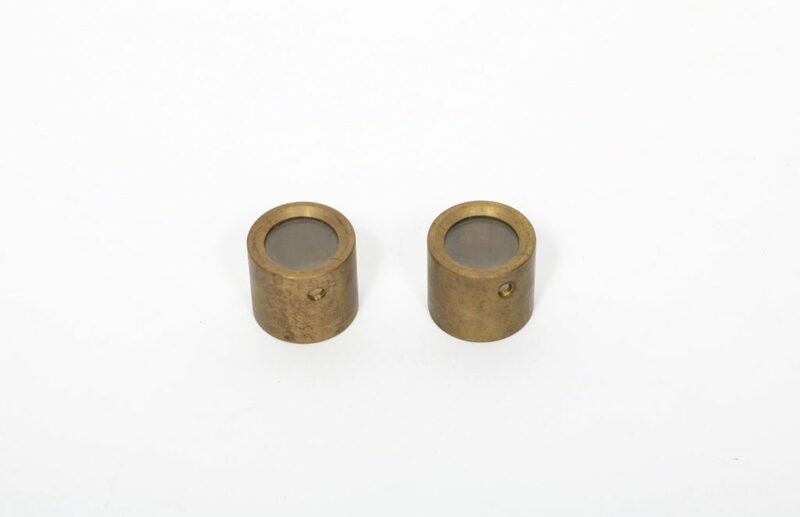 They are small cylindrical brass pieces with a circular glass window in one end; the other end is open. There is a small threaded hole through the brass cylinder about a quarter of the way down the cylinder from the end fitted with glass. On the glass window there are small etched shapes. Each of these consists of a small open circle, a line, and then another open circle. On 2018.ast.88.1, the central line is longer, on 2018.ast.88.2, the central line is shorter. Marks on the brass rim around the glass, apparently added by a user, indicate the horizon of the straight lines. Very good: These pieces are part of some larger piece of equipment. Their metal surfaces are corroded.